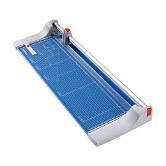 Dahle Premium Rolling Trimmers are the latest step in the advancement of paper cutters. 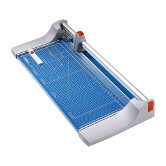 The combination of clean, accurate cutting with an enclosed blade for safety make these trimmers the best choice for a wide range of jobs. 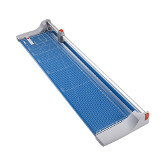 Dahle’s Premium Rolling Trimmers are designed for heavy duty cutting where precision is essential. The blades cut in either direction and sharpen themselves as they cut. 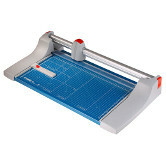 You get clean, burr-free cuts whether you are cutting mat board or paper. 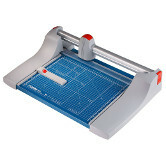 The self-sharpening feature gives you years of maintenance-free cutting. Optional floor stands are available for the two larger sizes or the trimmers can be placed on a table or mounted to a wall. 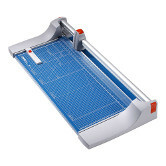 Dahle Premium Rolling Trimmers are available in 14", 20", 26", 36" and 51" cutting lengths and are a popular choice among professional photographers, picture framers, and print and copy shops.